Majuli Island, in the remote North East Indian state of Assam, is the largest river island in the world. It is rapidly being lost to the savage effects of climate change. 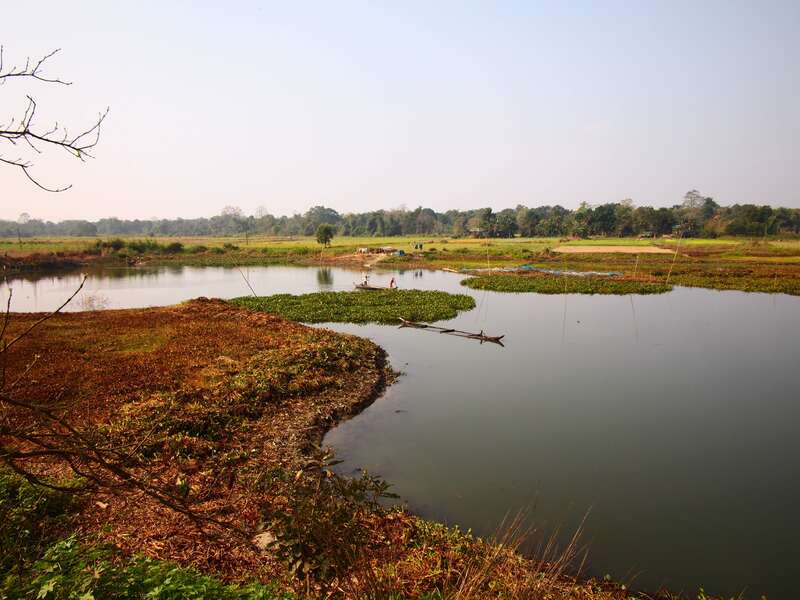 Surrounded by the mighty Brahmaputra River, scientists predict that Majuli Island will be entirely reclaimed by the river within 20 years, and along with it will disappear its people, culture and historical sites. I visited Majuli Island last year and afterwards spoke to Professor K.K Saharia from the Assam Agricultural University to find out what was being done to save Majuli Island. “Climate change is not to be evaluated only in terms of agricultural growth and economy, religions and rituals, life and livelihood, social transition and solicitation and others; but also in terms of threat to the very life system of native people and their convergence, cooperation and coordination with the fast changing world around them,” said Professor K. K.Saharia, from the Assam Agricultural University. While some help may be on the way, it’s likely to come too late to save this magical island. Once the epicentre for Neo-Vaisnavites, this small island was home to 64 satras (monasteries) but now only 22 remain as the elements take their toll. The monasteries were all dedicated to Lord Vishnu as places of worship, dance and prayer existing since the 17th century. 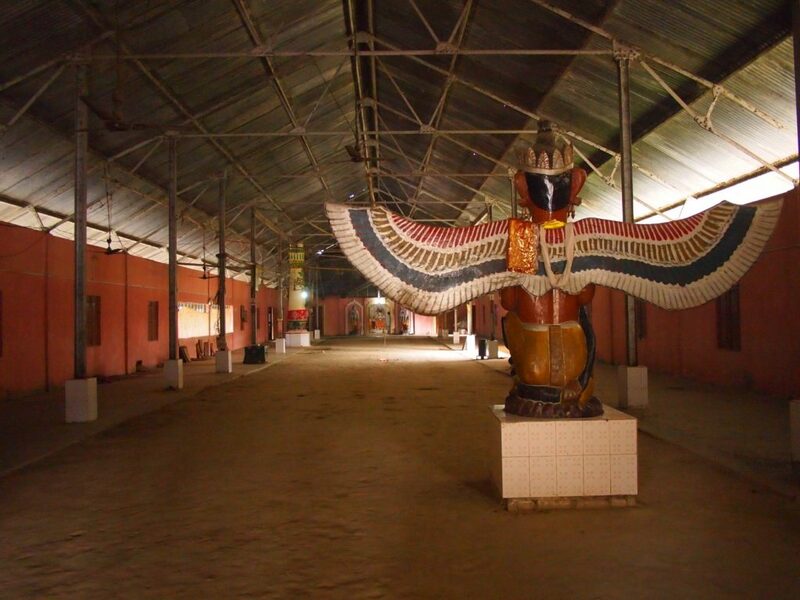 Along with the satras disappears a culture devoted to its faith and rich in the arts. 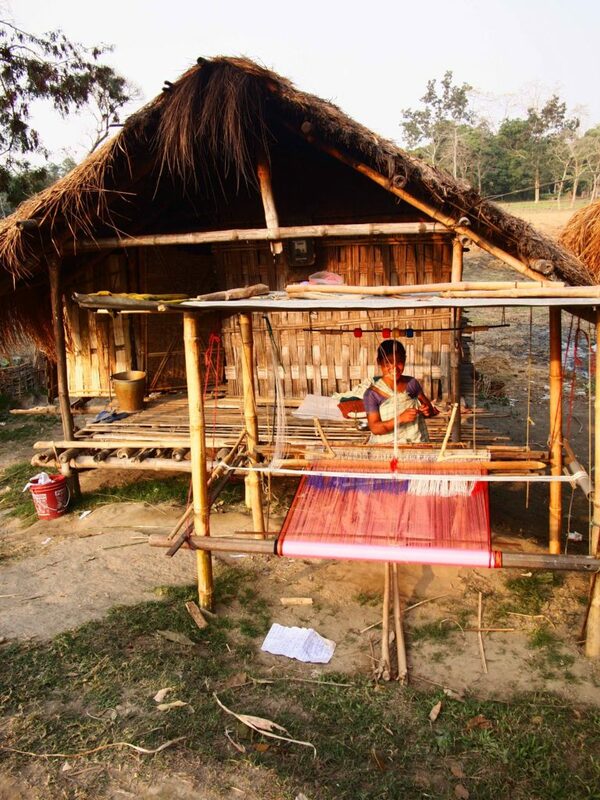 Walking along the roadside young woman work quietly, weaving brightly coloured cottons on a home-made loom. They’re not there for tourists, this is simply their way of life. Young children run along the narrow paths that lead down to their village on one side and to the estuaries on the other. Life is simple in this agrarian society, but it’s becoming more challenging every day. If it’s not being flooded with rain, it’s in drought struggling to keep crops afloat. For tourists Majuli Island is also challenging to visit. 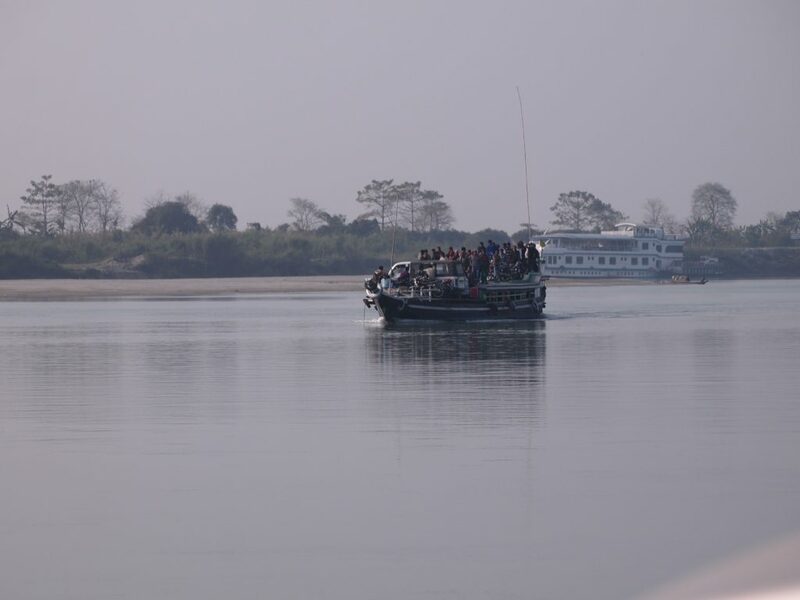 It’s reached only by ferry from the town of Jorhat, and if you don’t bring your own transportation with you it can be difficult to get around. 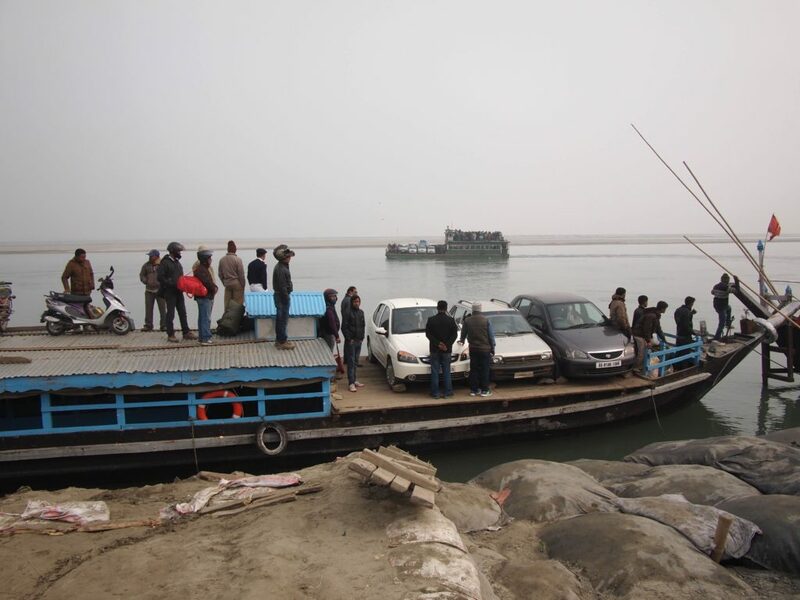 We had a car and driver, both almost became victims of the Brahmaputra thanks to a battery that fell flat just as our vehicle was precariously straddling the moving ferry and a rather unsteady wooden pier. Thankfully the local men miraculously managed to get our vehicle onto the pier just before it hit the water. 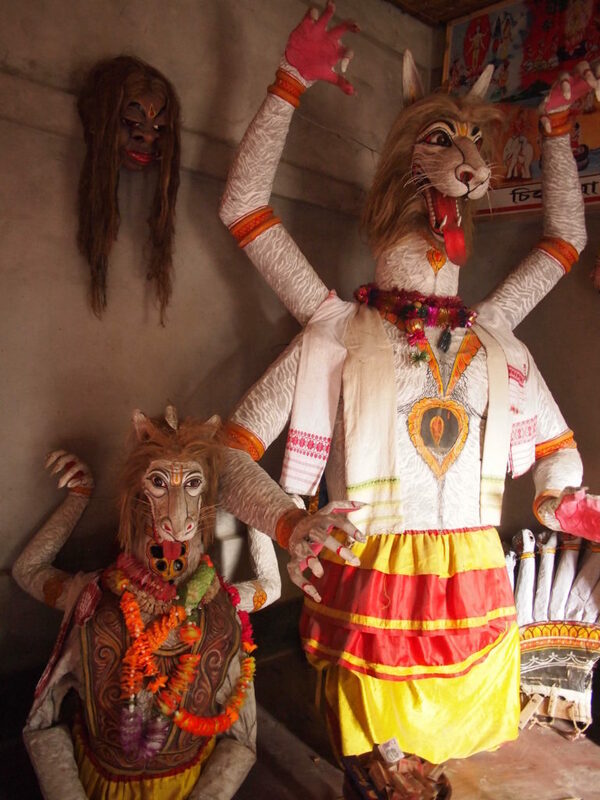 As Majuli Island doesn’t receive many tourists there really is only one place to stay, other than the rather run-down satras that are usually reserved for pilgrims. La Maison de Anand has just five bungalows that are closed to the elements but the gap between the walls and roof mean there’s little privacy between fellow travellers. It’s all part of the village experience in my opinion, although one snorer kept the entire hotel awake for the better part of the night. But given the remote location the abode is comfortable and the tribal meals delicious. 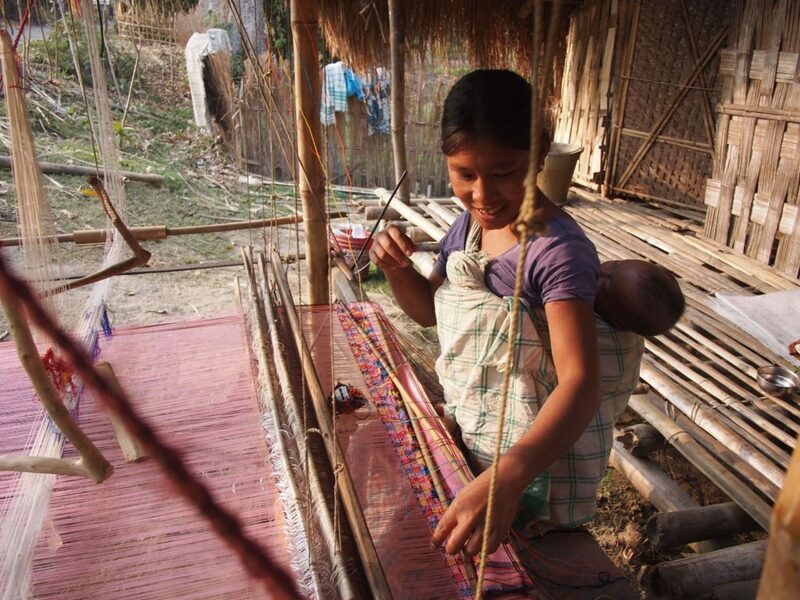 I only had one night on Majuli Island but it will go down as one of my most memorable in India. For the simplicity and charm of the locals, the exquisite beauty of my surrounds and the slight sense of sadness that it’s unlikely to be around the next time I make it back to this far-flung corner of the world. Regardless of who I spoke to about Majuli Island, one question remains unanswered: What will happen to the people who inhabit the island now? Those who remain seem reluctant to leave their home, but in the end the choice may not be theirs to make. And for those who wish to visit Majuli Island, I strongly suggest you do it before it’s too late. You can also read my guide on visiting Majuli Island that I wrote for About.com’s India Travel channel here.